The delivery in the development sector of Pakistan needs innovative thinking; moving to out of box ways in which it has not been approached here till now. The institutional setup in the shape of ministries, primarily in this regard being the Ministry of Planning and Development (MoPD), and the organisational setup a) in the public sector being the divisions and departments at the federal and provincial levels respectively, and b) the private sector in general, and in particular financial intermediaries in the private sector, mainly the banks, and c) development partners, being the bilateral and multilateral donors. Add to it, and which is not much explored, is government’s efforts to reach out to regional and related non-regional private sector that holds capacity to contribute to development effort here. Having said, there is a need for a harmonised effort to bring one or more of the above to join hands so that development effort can be both planned in a more coordinated way, and also the financing part is arranged in a timely and adequate manner. This will require for government to make one platform that can deliver on a) overall economic development strategy, and b) provides opportunity for local and international private sector, financial intermediaries, and development partners — bilateral and multilateral donors — to plan collectively on the underlying projects that allow better chances of reaching the development objectives. At the same time, it will allow government to improve on the ease of doing business, as this platform will identify to government all those bottlenecks, unnecessary regulations and processes, and tax related loopholes that cause discouragement to investment flows — domestic and foreign; along with enabling better surveillance of activities to effectively crackdown on corruption and money-laundering. This platform should be in the form of a bank that allows on one hand, local and international banks, and other financial intermediaries to invest their assets in the overall pool of lending with this bank, and on the other hand, outlines MoPD’s areas of development focus to i) local and international banks, ii) development partners — so that they have a better sense of areas to commit their resources to, individually and in collaboration with likeminded donors (bilateral and multilateral), and c) private sector — local and international. The government needs to make such a bank and may want to name it, ‘Pakistan Development Bank’ (PDB). The Bank will work in aid of the MoPD and will involve a Board of Directors (BoDs), which will be a mix of government, State Bank of Pakistan (SBP), and private sector representation. The hiring decision on a particular member of the BoDs may require ratification by the prime minister himself, after the name comes through majority voting among a selection committee, in turn composed of equal representation from among all the stakeholders indicated above. With the formulation of PDB, all the development related projects will find a well-represented home, in terms of technical competencies mainly with regard to technical and financing aspects, where any of the stakeholders can come and negotiate on playing their individual part. One of the main advantages of PDB is that it will have a bigger picture of a) overall economic objectives, and b) information on technical and financial requirements. With this wholesome information, it will be in a better position to facilitate all interested parties to have understanding under one roof of all the micro and macro level aspects of the various projects they can get associated with. At the same time, PDB can guide participants in a way whereby no area of the overall development focus either receives very little or too much focus. This would in time lead to a sustainable and balanced economic development path. Moreover, the government’s objectives with regard to the climate change and overall environmental aspects can and should by internalised into projects by PDB; adding to its advantages list. For achieving this task, PDB should direct related project participants of all the negative environmental externalities that need to be avoided in any one particular project, along with environment restoration efforts that owners of individual projects need to take, in projects where these are required steps. Similarly, PDB should be sensitized of all the WTO related aspects that the projects need to be mindful of. A direct initiative to dent poverty in Pakistan, would be to improve the productivity and sustainability of the agriculture sector, by involving all stakeholders to, for example, invest themselves in a) management of policy and administration, where technical projects could be initiated with development partners, with the incentive such technical uplift will be required efficient setting for their subsequent profit-oriented projects in the sector, b) improving water resources, which will in turn bring efficiency and viability to all those areas that require water as an input, c) enhancing the export base of crops, d) research in the agricultural sector, which should incentivise stakeholders to invest in so that better research is available for other productive adventures in the sector, and e) special focus on fishing, also because as highlighted by the PM in his 100 days speech that there was a lot of scope for enhancing fishing output and exports- especially shrimp- along the coastal line in Balochistan, for example (among other areas). Financial sector of Pakistan requires deepening, both in terms of pool of loanable funds, and also in making available efficient products that can help the labour market benefits to enhance, and allows greater investment opportunities in both primary and secondary debt markets. PDB can engage for example regional banks and financial services to invest in projects directly in Pakistan, and in also bringing efficiency in the financial policy aspects. A cohesive and focused entity in the shape of PDB can better forward this development effort than individual government institutions, organizations, SBP, private sector, and standalone financial intermediaries. Rather it requires an entity like PDB to provide that needed interface for bringing seamless understanding of investment opportunities, and one-window redressal of complaints facility. By allowing opportunity to stakeholder to bring out both fiscal and monetary impediments in the way of successfully doing projects, PDB can provide valuable information of issues and solutions to government and SBP, respectively, with regard to a) better formulation of fiscal and monetary policies, and b) its efficient coordination. In this sense, PDB can be a good platform for government to carry out the current PM housing scheme, in terms of both its technical and financial aspects. Other important areas where PDB can serve as a useful platform for bringing in technical and financial investment- especially involving leading regional players in the private sector, for example, for tourism industry from countries like Sri Lanka, Maldives and Malaysia investing and assisting in developing tourism industry by forging effective partnerships- could be a) education and within it i) basic education, ii) secondary education, iii) tertiary education, iii) teacher training and other education facilities, b) tourism, c) trade, d) energy generation, distribution, and efficiency, e) environment restoration, f) emergency response, disaster prevention and preparedness, and reconstruction relief and rehabilitation, g) transportation, and h) water and sanitation. The government should seriously consider forming a bank on the lines of suggested PDB, because it is only through such an innovative initiative can it deal with many of the chronic issues in the development sector of Pakistan, including efficient utilisation of foreign aid. 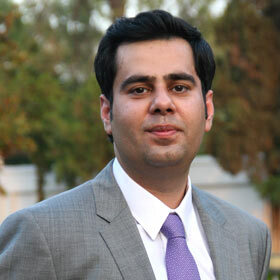 Omer Javed holds PhD in Economics from the University of Barcelona, Spain. A former economist at International Monetary Fund, his work focuses on institutional and political economy, macroeconomic stability and economic growth.